Mortality rate among Indians with diabetes is three times more than those without it, finds a study. Underweight diabetic patients are at a higher risk of all-cause mortality than obese people. In a first of its kind study conducted by Madras Diabetes Research Foundation (MDRF) comparing mortality rate among diabetics and non-diabetics in India, it was found that those suffering from the disease had a mortality rate of 27.9 per 1,000 person-years against 8 per 1,000 person-years among those without the ailment. It is estimated that one individual dies of diabetes or its complications every 10 seconds. Most of the excess mortality due to diabetes is attributable to cardiovascular disease, renal failure and cerebrovascular disease. “Coronary heart disease, which contributed 53 per cent to the risk of mortality in those with diabetes, can be reduced if it is diagnosed and detected early and aggressively. Other important contributors to mortality such as physical inactivity, dyslipidemia, smoking and alcohol use and hypertension are also easily modifiable risk factors,” said RM Anjana, managing director, Dr Mohan’s Diabetes Specialities Centre, and vice-president, MDRF. Renal failure is the second most common cause of death in this group, accounting for 10.7 per cent of deaths. While several prospective studies have documented increased mortality associated with diabetes, earlier studies from India do not provide information on death rates in the general population for comparison. The Chennai Urban Rural Epidemiology Study (CURES) was done on a representative sample of 26,001 adults from Chennai aged over 20 years. Studies from China have also shown that individuals with diabetes have a threefold higher death rate compared to age-matched controls without diabetes. Studies from the UK, Germany, the US, Brazil and Australia have shown that individuals with type 2 diabetes have a 1.5–2.5 fold higher risk of mortality compared to those without diabetes. Further, underweight was associated with a significantly higher risk of all-cause mortality than overweight and obesity. Being underweight confers a greater risk of mortality as such people are exposed to chronic under-nutrition and its attendant consequences such as infectious diseases and micronutrient deficiency in childhood and youth or even intrauterine growth retardation. “The excess mortality noted among underweight individuals may reflect their poor health due to other underlying diseases e.g. tuberculosis, under-nutrition or decreased immunity. While gross obesity is undoubtedly harmful, this study shows that small degrees of overweight, especially in older people, may not be as bad as believed earlier. This is a newly emerging finding worldwide, and needs further study,” said V Mohan, director, MDRF. The study also found that excess mortality due to diabetes was most marked in the age group of 51–70 years. 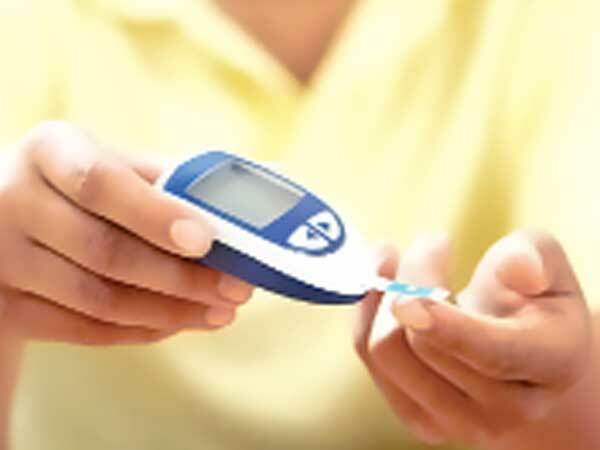 In South Asian population, patients develop diabetes in the fourth or fifth decade of life and develop complications and risk of dying by the sixth or seventh decade.